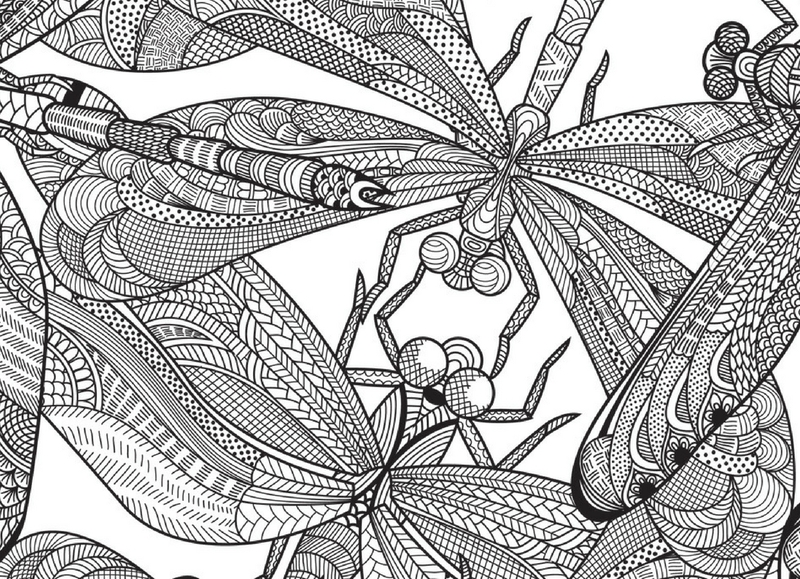 Colouring is an effective meditative and calming activity. Sometimes, when you’re feeling particularly low there is simply nothing you can do. Your mind is fuzzy, you feel confused, deeply sad, and detached from those around you. 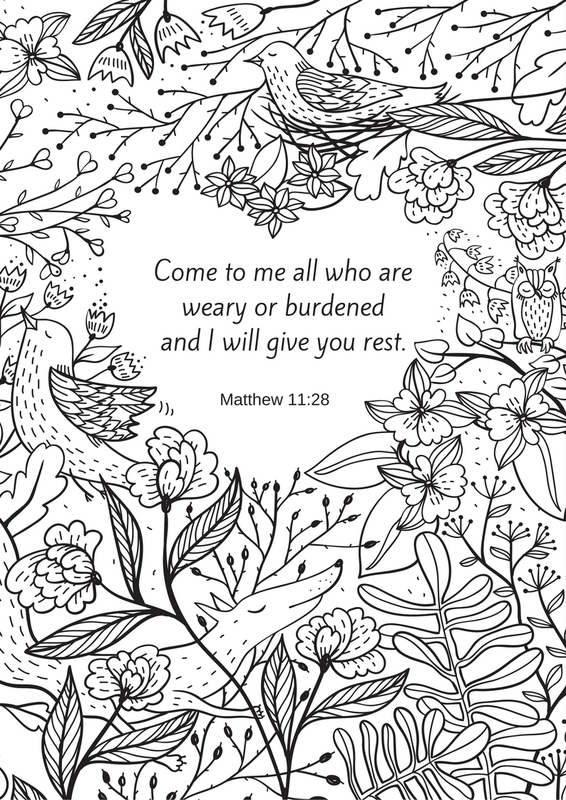 Keeping a colouring book handy is a good idea; however, for times when you need something ‘here and now’ I’ve created a set of colouring pages for you to download and print off. 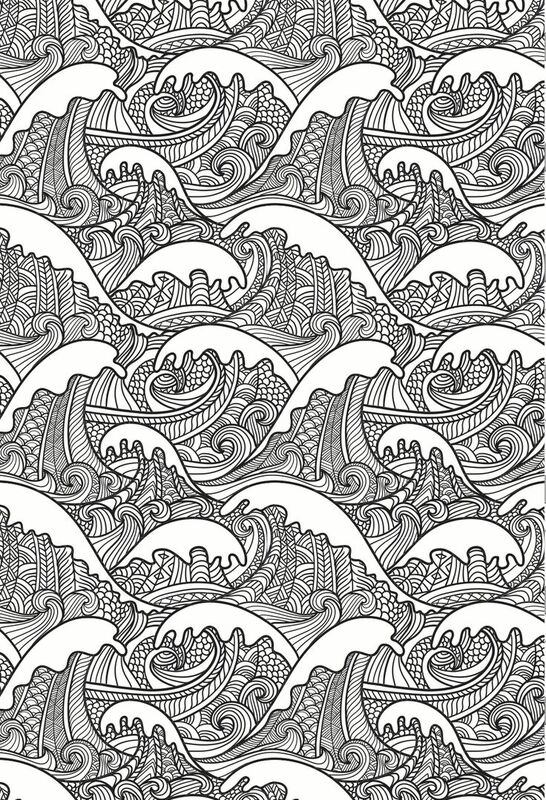 Some are simple, others a little more detailed, but nothing is too intricate as, let’s face it, it can be hard to see the lines though weary, tear-filled eyes. 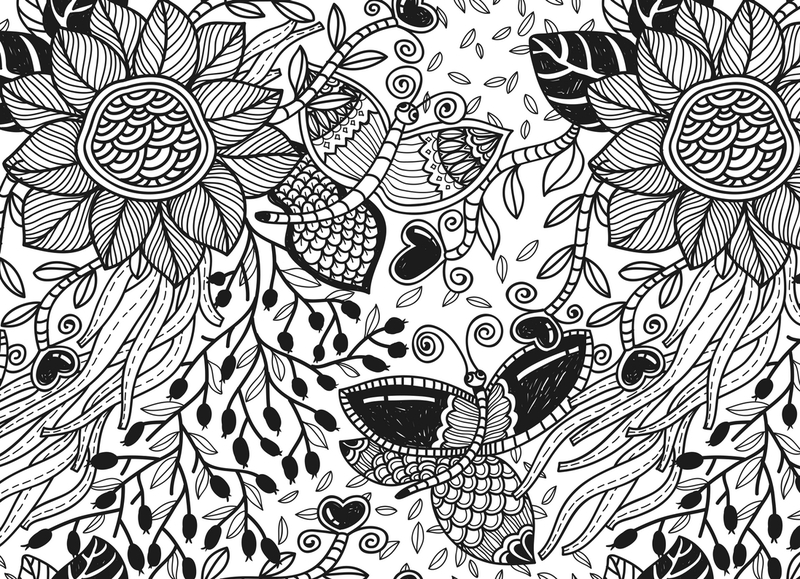 Colour them anyway you like, and take some time to rest your mind. 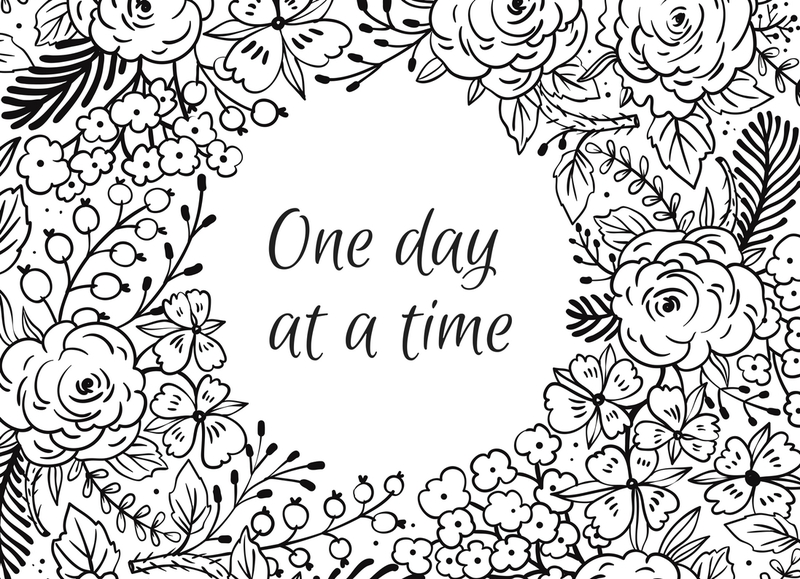 I will add to these pages so keep checking for more, and if there is something you have in mind, send me a message and I’ll see what I can do… Oh and don’t forget to share your finished pieces with me if you want to. Today, I took my 9-year-old son to his football match. 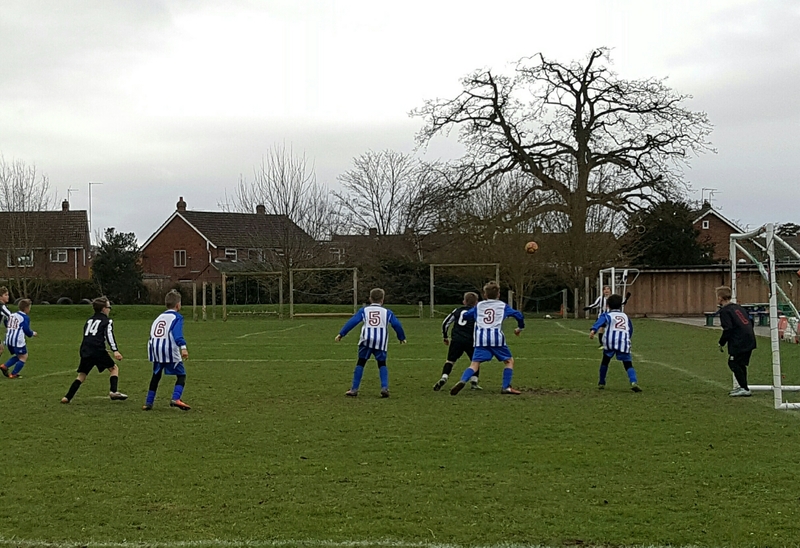 It’s normally Dad who does the football matches, but it had been almost a year since I’d seen my son play due to having the new baby and he asked if I’d go and watch him. He’s been appreciating some one-to-one time with me of late, which of course I love too. While he was warming up, I automatically joined the other waiting parents by scrolling on my phone, but as I’m trying to be more active I realized I could use this as an opportunity to go for a walk, get my own blood circulating a bit. I wasn’t in an area I knew very well so I just walked out down the road and after about ten minutes I came across a small church. I thought it would be good to have a little look around. There was a small graveyard just in front of the church, hidden by tall hedges. The graves looked old and weather-beaten, and I’m sure it had long since closed to new burials. I first noticed five cross-shaped gravestones, lying flat in a line on the ground. On them were the details of men – figures in the community as their job titles were also engraved under their names, each from the 1800s, early 1900s. The book of Ecclesiastes came to mind. (I’ve been reading over it this month.) In it, Solomon – the king – writes about accomplishments and the work we do, the things we put our effort into, the dreams we chase, and reflects how all of it is pointless once we’re dead. Not in the immediate years following our death, but the hundreds of years that see us but a distant memory, if that. There can be great meaning to what we do, if through doing it we help others, but equally we spend a great deal of time doing or worrying about things that have no meaning. I thought of these men in the ground. Long gone. They probably were highly regarded in their day around the area, but who remembers them, or what they did today? 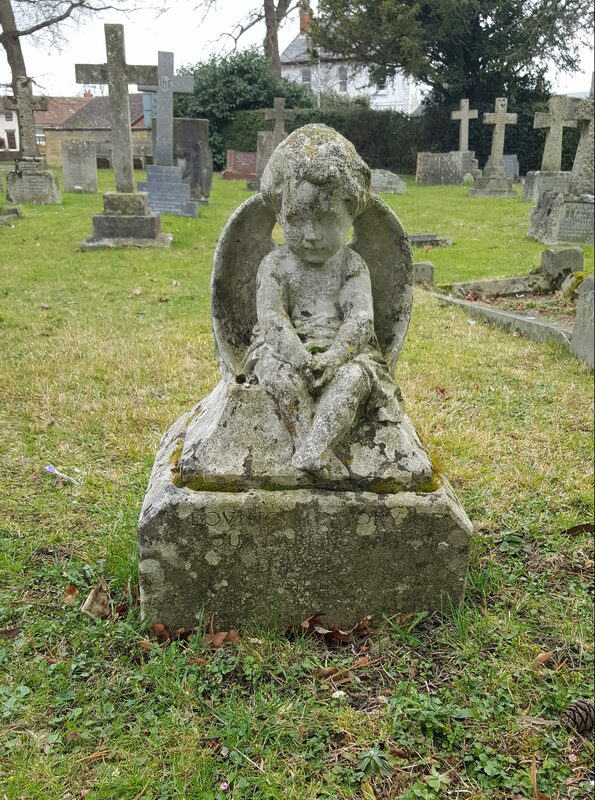 I then saw a small, quite beautiful, cherub angel gravestone. It was to mark the grave of a baby. I couldn’t tell how old the baby was as the dates had worn away. A little baby without its mother, a mother without her child. I thought of the mother having to put her newborn child into the ground here, the tears that must have been shed, nearly 100 years ago. Yet so many more have been born since – life has moved on at an extraordinary rate but this baby was here once, briefly. This baby’s short life mattered. I saw other graves. Some in fairly good condition, others nothing more than a nub of stone sticking out of the ground. No matter what condition the stone, what the status was of the person buried there, or what age or situation they died, they were united by sharing this space. They had once breathed and created memories, but they all ended up as dust and mud, under a gravestone, forgotten or barely remembered. 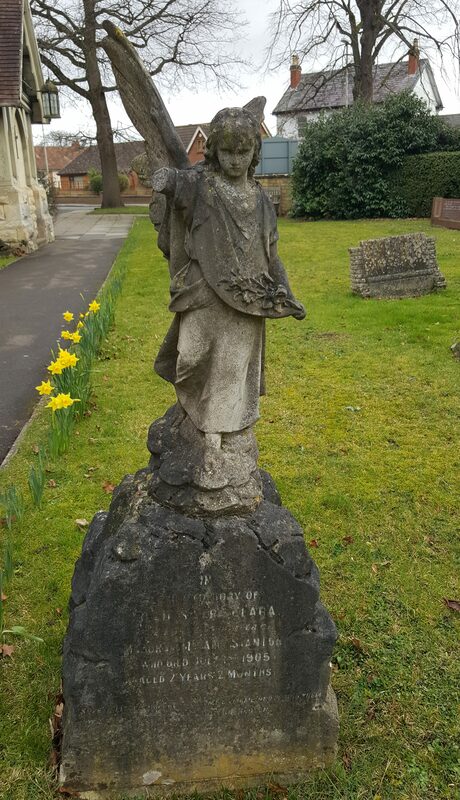 I was struck by this stone of a weeping angel. It was of two sisters, buried together. One had passed away at age 19, the other had died later age 35. I thought of the parents having to cope with two of their children dying, having perhaps adjusted to the loss of one daughter, only to lose another. Or perhaps they had died too? Who knows the story behind this family’s plot. Who even cares? There was a striking stone marking the grave of a toddler. Clearly the child of someone of some wealth or importance at the time to afford such a memorial. 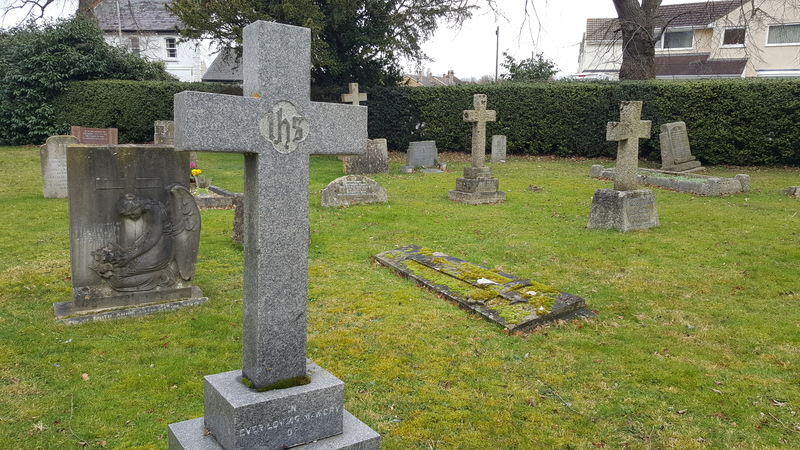 Of course, 100 years ago infant mortality was high so child burials would have been common, but the diversity of the graves in this one tiny patch of churchyard just seemed so poignant to me. Those who lived long, buried next to those who never grew up. Each one would have been mourned, by wives, husbands, mothers, fathers, friends and relatives… who now themselves may have departed. How did they live out their lives – happy, depressed, lonely, content…? How did grief shape their futures? In Ecclesiastes, Solomon sees that bad things happen to good people, good things happen to bad people, the wise know more and die, just like fools who don’t know anything and die too. Life is for living he concludes, we shouldn’t take ourselves too seriously, we can chase any number of dreams but without God there isn’t much point to life at all. As I headed back to watch my son’s football match, I considered today, this next hour, my ‘work’ was to be there for him. To see him smile at having Mum watching from the sidelines. This memory would stay between us two. And when I’m dead and gone, and he’s dead and gone, this moment will be forever gone too. 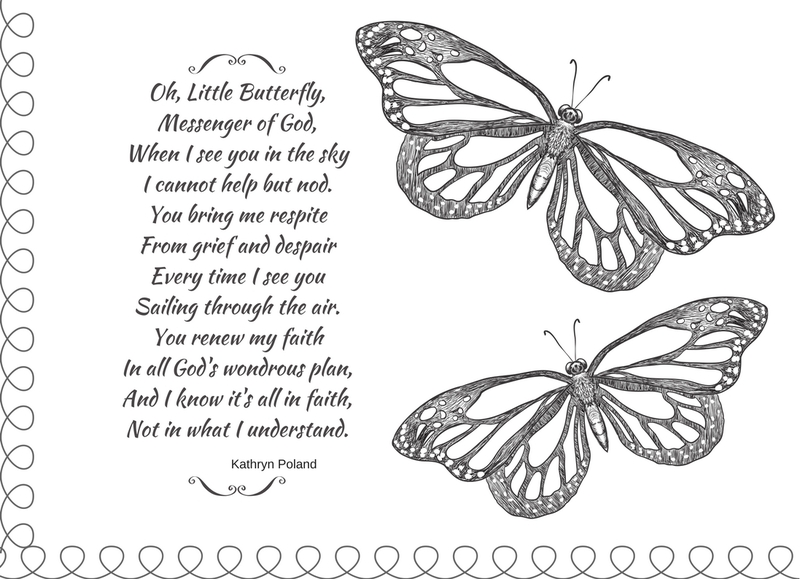 I attended a funeral this week of an inspiring lady from my church, ‘D’. Her death, while expected in some ways due to the leukaemia that had taken over her body, was a shock to her family and friends nonetheless. She and her husband are both committed Christians and have done a lot for the church in their lifetime. However, the funeral wasn’t so much about their depth of faith, but was about how ‘D’ had lived her life and the impressions she made on people. We learned how she was the kind of woman to make the most of every day. How she was always challenging herself. How she used her creative talents to benefit others. How she was involved in community work and selflessly reached out to support young and old. All the while raising two children and being a dedicated wife, grandmother and homemaker. She had lived a life many of us aspire to, but did so without self-congratulation or pride, but humbly and modestly, and with an awesome dose of humour! She dealt with her illness with great courage and dignity. It spoke volumes that the church was full of mourners and there was standing room only for some. While not originally from our village, all ages and people from all her life attended. A testament to who she was. A much-loved person who gave more love in return. I had only known her relatively briefly, a few years, and we socialised at church events. But there was much about my own relationship with her that made me feel a connection to her and such sorrow at her death. She first introduced herself to me at the first church service I attended after my daughter’s funeral. This kind-faced couple approached me and she told me how they knew something of our loss, as they had lost their eldest grandchild in similarly sudden and unexpected circumstances at a similar age to Abi (who was 12 when she died). Ever since, they always made a point to say hello or to have a chat whenever they saw me. While there were periods where I didn’t see them for a while, I felt welcomed as an instant friend and there was a genuine sense of care and love about them. It’s been a while since I wrote about my faith. 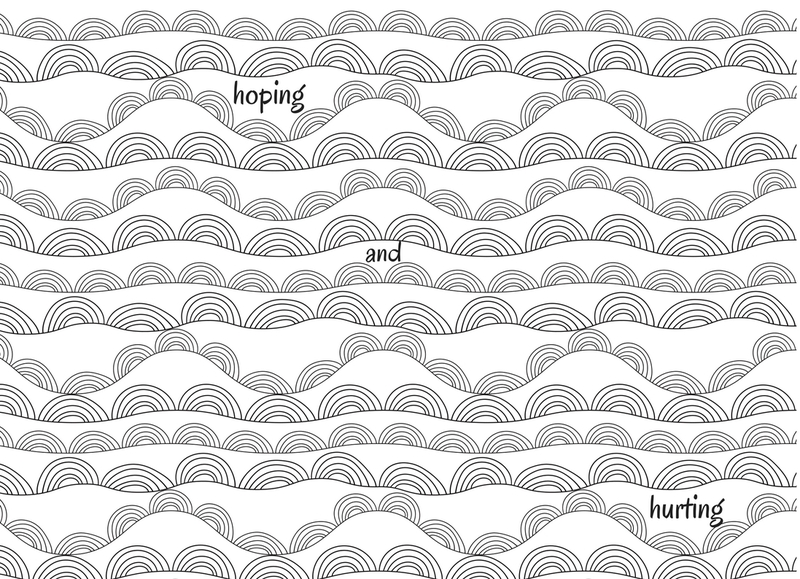 I’ve been somewhat stuck in a mental block of grief and anxiety. But I read a book the other day that resonated so much with me that I found almost an awakening. I will be reviewing that book in another blog post, but I found myself pouring out words of faith, words that have been muted up to now. Writing about my faith isn’t always easy, mostly because I don’t want to alienate those readers who don’t believe the same. But I can only hope that my words spark some thought and continue to bring comfort. My religious posts are the least popular, I presume because people simply don’t want to know, can’t relate or dislike the idea they might be ‘preached to’. One thing I’ve learned about talking to bereaved people is not to talk about God! 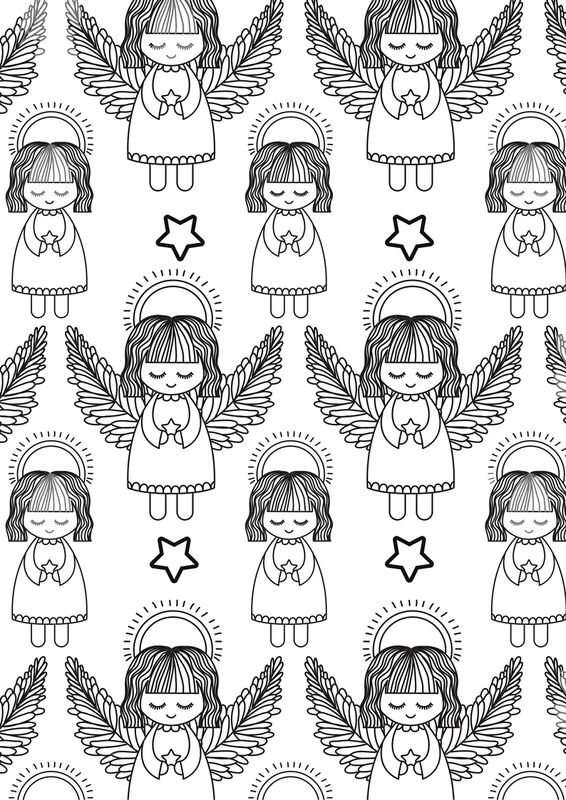 But if my words speak to one other grieving parent I will know it has been worth writing. In the not too distant past, religion and belief played a key part of everyone’s lives. Life was fragile, death was a daily fear no matter what age. As we have developed ways of extending our lives and knowing more about how to keep ourselves healthy, we have settled into a frame of mind that is no longer fearful of our death and now more about enjoying life, getting pleasure from material things, chasing personal goals and aspirations. We grow up believing that we will live to a ripe old age, that we have plenty of time. So we don’t need to worry about God anymore, we don’t need to think about ‘what’s next’. When death takes someone we love, we are surprised, shocked, angry that it could happen at all, and the trauma stays with us. Yet death is the most certain thing in any life. For every thing that lives will die. We live as though death is an illness. We live as though death is an inconvenience. We live as though death is the end. I wrote a post last September about how hard I found it to declutter our home. We were having a car boot sale and kept coming across things that brought back bittersweet memories. Abi’s belongings were still everywhere – a forgotten hairclip, a school pen – and I found the thought of getting rid of things we had ‘when Abi was alive’ (a new marker in our family timeline) too hard to bear. But, a year on, I’ve arrived at a very different place. In my life, I’m beginning to make changes. Changes that mean I’m starting to move on. It’s actually taken me a long time to want to write that in a post. ‘Moving on’ is one of the hardest terms I know relating to grief. It makes me feel physically sick and mentally stressed. I have a number of books that all offer ways to help ‘people move on’ that I avoid picking up because to wish it is to want to erase the memory of her. But, it’s essential that I at least try to come to accept it. This hasn’t come about the easiest way. I haven’t just woken up and thought right, time to ‘get a grip’. The past year has been a huge struggle and I think in large part owing to the fact that, as time moves away from my last day with Abi, I am desperately trying to claw it back. ‘Moving on’ is so very hard when your child is dead. I was able to realise that I was sinking further and further into depression. I felt like I was standing in sinking sand but had managed to hold on to a branch to stop me being fully submerged. Now, I’ve built up enough energy to try to pull myself out. I’m looking at my life from the outside in, rather than in the self-absorption of grief. I see a woman who is tired, stressed and lethargic. I see a marriage that is strained. I see a home that is stuck in a time warp, reminding us constantly that we are living with trauma. I see a family suffocated by the memories all around them, in every face they see, every step they take. Yet, as I try to bring some new order to our home and the daily changes are feeling somewhat positive, and right, I can’t escape the torment that this brings. At night I dream of Abi and my dreams are stressful. I wake up often with palpitations, my broken heart tearing me from my rest. I dreamt that my hubby and I had decided that Abi’s ashes needed to be moved. 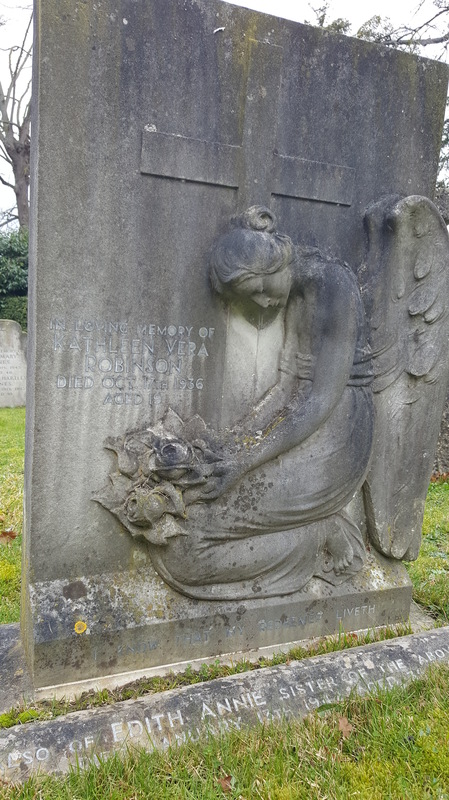 They were buried in our local churchyard and her stone was constantly hidden by mud and dead leaves, so much so it was almost sinking into the earth. So we asked the vicar and some close family to hold another service where we exhumed her box of ashes in order to move it to a nice place. It was evening. The box was brought out. I held it. It was slightly shabby where it had been buried, the light oak was dark and beginning to rot. I held my girl’s remains and choked back tears. I remember looking at my hubby and wondering what we were going to do with her ashes; now questioning why we had dug them up in the first place! It was a bit awkward as we realised we had nowhere to put them. I thought that we could put them in a pot and have them at home. I felt a yearning to have Abi close by. But I didn’t voice my thoughts as I knew it wasn’t right. We both knew that, really, she belonged back in the ground. This dream struck me as my conflicting feelings of wanting to let go (not of Abi but of my grief) yet cling onto Abi and keep her close. I suppose my subconscious was telling me that I can’t bring her back. That the Abi we knew isn’t on Earth anymore, even if her remains are. That I could dig her up and rebury her a thousand times but it wouldn’t change a thing. I feel, with help, that I can move on in grief. That I can create new memories, as our family is so different to what it was two years ago. I have to let go of a lot of the past. Not of Abi. I will never get over losing her; her life and her death are engraved on my heart. It’s the material and sentimental aspects of grief I feel need to change. I have to put aside the many photos and mementos, replacing them with simpler versions that enhance rather than dominate our home. We have decided to stay in our house so we will need to completely transform our home into a new space where new memories are made. I want to create a new nest shaped around the remains of what we have. I want to find new interests and ways to use my mind, to spend my time wisely. I can see, clearly, how in the first two years of grief I have clung to the familiar. Our home and its contents hasn’t changed much. We haven’t travelled far. We’ve stuck to our routines. The familiarity was my comfort blanket. But now that familiarity threatens to draw me into a downward spiral. By keeping things the same, by always everything ‘Abi’, I struggle to find the breathing space I need to live, and that which will allow my other children to just be. And living is what I want to do. I want to treasure this life I have and to live it for Abi as well as for me. So, while it’ll take time to sort through the clutter that is spilled all over our home, clutter that shows I’ve been clinging onto the loss, and it’ll take money to pay for new carpets and furniture, it’s a transition I feel ready to take, and that’s the most important part. Knowing this feels good and my hope is lifted. I know the journey will be fraught with the guilt and grief that I must feel. I just have to let it be. I saw a trailer on Sky the other day for the next big thing in hospital drama – Critical. 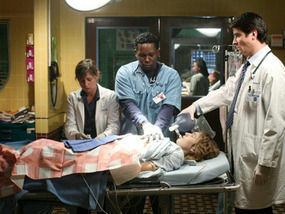 A fictional series based on saving (or not) the life of a patient filmed in real-time (over an hour). The filming looks slick and the actors serious. It’s sold as being ‘ground-breaking and the most realistic hospital drama to date’. I’ve long-since wanted to write about why I find watching TV so hard now. 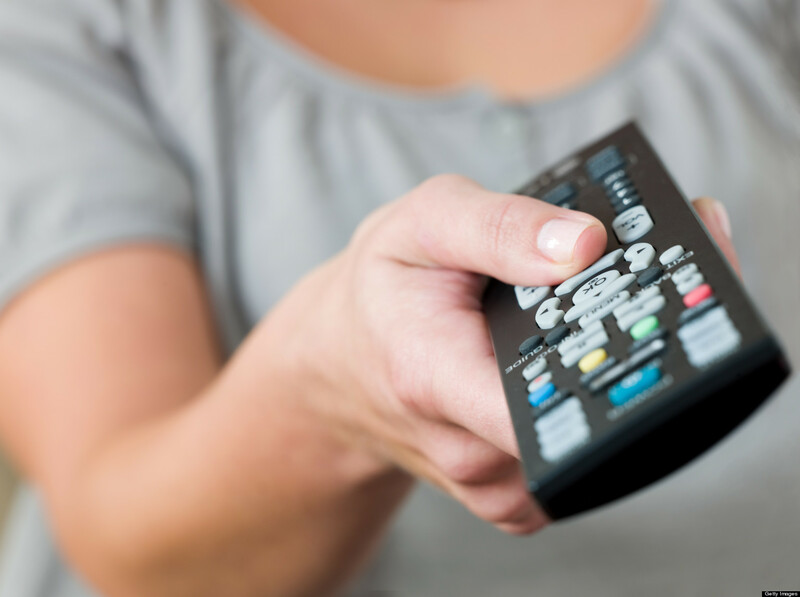 Since Abi died, every telly programme seems to feature a death, a trauma, an argument, distress, pain, gore, fear… I instantly felt alienated by my TV, which is something we use every day for a bit of light relief. We’ve been living on trivia and gentle humour – endless episodes of QI, Would I Lie to You?, anything with Jimmy Carr in it and the comediens that usually feature with him. I’ve pretty much exhausted all those and have moved on to Top Gear now! My new ‘happy pill’. Sigh. We have the whole Virgin Media Cable TV package, yet we can only watch a fraction of the channels simply because we can’t bear the programmes that are put out. Each night we scroll through the listings and there is nothing cheery on at all! And all of it sandwiched by the News, which isn’t much better (I’ve written about how I conquered that particular battle here)! We’ve even got Sky Movies and Netflix to widen up our choices, and some days I just put on a Disney Pixar film as that’s all I can handle! The hard thing about this is that we used to really enjoy watching telly. We could easily watch a good old murder mystery – Midsomer Murders, Death in Paradise, Silent Witness etc – but we’ve not watched one since February 2013. Not that Abi was murdered, but it’s that these programmes inevitably have blood in, a dead body, perhaps a scene with someone performing CPR, grief, crying… ahhhh! Then the endless shows about bodies and health! We used to enjoy watching Casualty or ER, pretty easy viewing for a Saturday night, but now I rush to the remote if anything remotely medical is on the screen. Every channel, every night there is something about death and trauma – it could be a drama like Holby City, this new Critical, or a documentary-style show like Benidorm ER, 24 hours in A&E, or as I’ve said, gritty crime thrillers. We used to watch these shows just like ‘everyone else’. They didn’t bother us much at all, they were happening to other people. In fact some of the documentaries gave fascinating insights into how much our NHS staff have to put up with to save lives day in day out, and I feel it’s stuff we need to see in order to understand what goes on. But I can’t watch anything now. I see someone pass into death (the flatline is just horrendous!) and I am thrown back to the moment my daughter died. I see blood and CPR and I’m thrown back to the terrible moment I had to perform CPR on my daughter when she collapsed. I see people crying, screaming, pretend grieving and it cuts deep to know I feel it for real. It is easy to say ‘switch it off then’, ‘read a book or do something else’. But our bedtime routine is long and drawn out, putting our children to bed; our days are hard trying to get on and live normally. TV is our escape and watching light-hearted silliness for an hour is essential to help us unwind before trying to go sleep. The Rev. Kate Bottley from Gogglebox once said something about how her day is a mixture of highs and lows – one minute she’s burying a baby, the next she’s dancing around at a school assembly – so she watches ‘trashy’ telly as a way to zone out a bit from the day. I totally get that. One minute I’m mourning Abi, the next I’m laughing on the floor with my children – a constant life/death ride. We live with real life trauma and sorrow and hardship every day and I feel it’s becoming ‘critical’ that TV offers us more in the way of positive stuff, shows that inspire and give us a lift. I’m all for pretending, but why not do pretending happy instead of pretending sad? 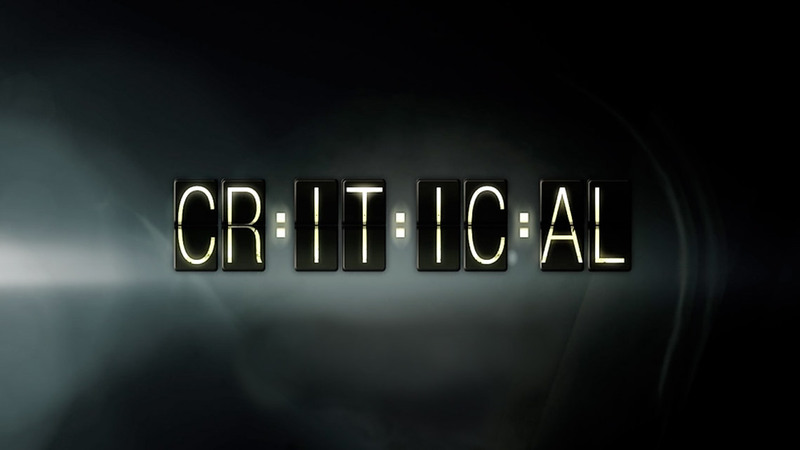 So, as ‘brilliantly accurate’ as Critical may be, I won’t be watching. I’ll be too busy channel hopping!